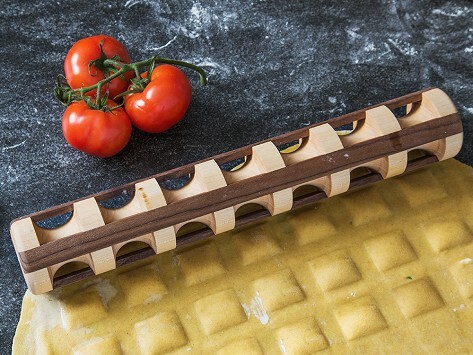 As beautiful as it is functional, this ravioli rolling pin is handmade in the U.S. from sustainable hardwood. Simply layer your own filling between two pasta sheets, then get rolling. 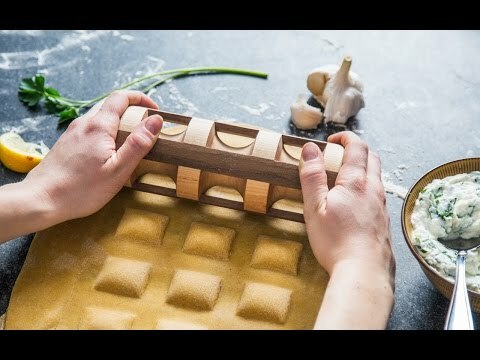 Press firmly and voila—perfect, handmade ravioli you can sign your name to. Weight: 17": 2 lbs. ; 7.5": 1 lb. Love this-I collect rolling pins.